Here at Summit Public School: Shasta, most people I know try to avoid the school lunch. Brunch usually consists of some kind of off-brand cereal. More often than not, it is hard to identify what is being served for lunch. If you start asking around about what people think of the school lunches, you won’t exactly get a positive response. I surveyed over 130 kids (close to one-fourth of the school), and the most common words to describe the school lunches ranged from “okay” to “gross” and “bad.” Some students described it as “cardboard”; others used more creative terms. The school lunches at Shasta are premade in a facility 20 miles away. The lunches arrive at Shasta every morning. The food is stored in our small kitchen and is watched over by Catherine Quan. Ms. Quan has no official job title, but she helps prepare and serve the food. She explained to me that the food is kept in an industrial fridge and two heaters. The fresh fruits are kept in bins on shelves near the entrance. However, there is a lack of actual kitchen materials. None of the food has to be cooked; there are no trays or plates to wash, and the room is more like a holding space for the pre-packaged meals. Shasta’s current food supplier is a San Carlos-based company called Lunchmaster. One look at the Lunchmaster website, and a consumer would see no problems. The LunchMaster site offers glowing photos of food, proclaiming that none of the foods they make is fried. More than 80 percent of the food is local. “We make fruits and vegetables appetizing for children,” one section reads. Lunchmaster markets itself as a family-owned business. According to its website, its two “taste-testers” are the general manager’s kids. The two founders are a wife / husband duo. Lunchmaster also employs two registered dietitians. All meals meet federal and state regulations and are “balanced meals” made “from scratch.” The company touts itself as healthy, tasty and down-to-earth. In contrast, the student sentiment at Shasta tells a different story. 75 percent of students polled said that they weren’t satisfied with the current school lunches, the ones provided by Lunchmaster. Only 28 percent said they considered the school lunch to be healthy. Many described it as “processed” and “greasy,” even though the Lunchmaster website states that none of their food is fried (“Even our french fries are oven-baked!”). I interviewed Maria Canjura, the office manager at Shasta. She said that Summit Public Schools’ corporate branch makes the decisions on what supplier Shasta has. Summit has a contract with Lunchmaster and gets monthly menus from which they pick out the meals. All Summit schools in the Bay Area are supplied by Lunchmaster. Well, according to the kids, the food just tastes bad. 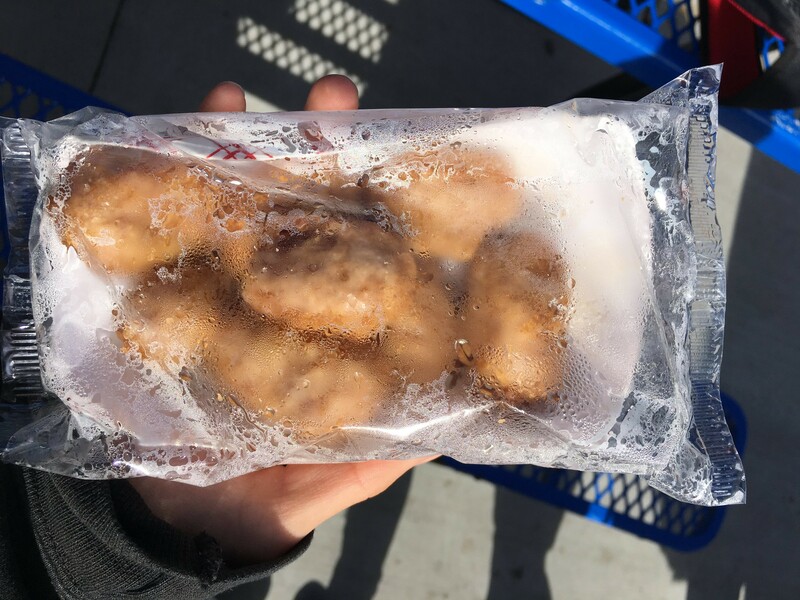 Shasta sophomore Ryan Hui buys school lunch every day and describes the meals sarcastically as “flavortown.” He said that he would like better quality food and bigger portions. Another Shasta sophomore, Ethan Tran, said he doesn’t mind the portions, but he does want better quality. He would also like “less plastic packaging.” “They could be worse, but they could be a lot better,” Shasta sophomore Joseph Hernandez said. I asked students to rate the food out of 5, and 91.8 percent of those surveyed rated the food a 3 or less. Only three people (2.5 percent) gave the food a 5. School lunches are a national issue. Almost every other developed and wealthy country has better school lunches than America. In fact, only Canada, a country that seemingly passes the United States in every way, has worse school lunches. They ranked 37th out 41 in a UNICEF Report on access to nutritious food for kids, right below–that’s right–the good ol’ US of A. Another example we can look to is Japan. Only 5 percent of food is wasted in a school district in Northern Tokyo. Japan’s childhood obesity rate is one of the world’s lowest. So how does Japan do this? According to a Washington Post article, food is never frozen and its school lunches are “a source of national pride.” In Japan, meals are made from scratch. School lunches in Japan usually consist of rice, vegetables, fish, or soups, quite unlike here in America, where us Shasta students have to deal with mysterious meat or cardboard. Plus, while there still is unhealthy food being served, it is in seriously limited amounts. “On a recent day at Umejima,” the article reads, “kids were served the Japanese version of fried chicken, known as karaage. Each child was allowed one nugget.” Japan’s government provides some minimal guidelines, but the task of regulating health mainly falls to the school nutritionist. That’s right–most schools in Japan have nutritionists. As for cost, it is all managed by local municipalities, while parents pay for ingredients. The cost for parents is $3 per meal, and they even have lesser payment choices for struggling families. So school lunches can be tasty, healthy and affordable. Of course, we don’t live in Japan or France, we live in America. But contrary to popular belief, there are plenty of schools in the United States that provide healthy and tasty school lunches. Unfortunately, here at Shasta, kids still try to avoid the school lunch. Students eat better food at home, not at school. Kids at Shasta have inside jokes about how bad the food is. Suffice to say, the majority of the student body here at Shasta does not take “national pride” in our school lunches. But we can always change things. 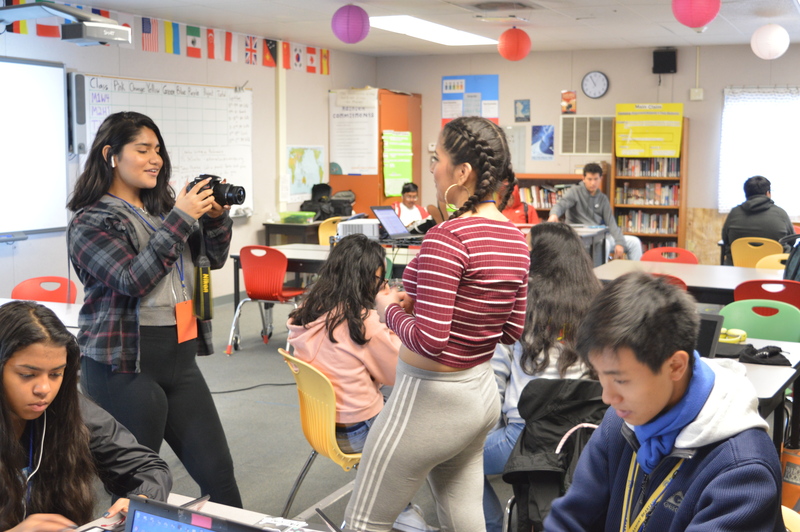 The students surveyed had plenty of ideas on how to change things: letting some clubs cook and sell food, not having premade food, including more choices, getting more substantial meals and picking a better supplier. While there are definitely challenges in trying to implement these changes, something is better than nothing. According to the students, the school lunches are a whole load of nothing.